Thawab is a Syrian-American student of Postcolonial Studies at the SOAS in London, England. In March 2014 she generously agreed to share her experiences of some recent visits to the Middle East, to meet the people (many of them women) who live and work in Syrian refugee camps in neighbouring countries such as Turkey. Majid is a Syrian national who has lived in the UK since September 2012. 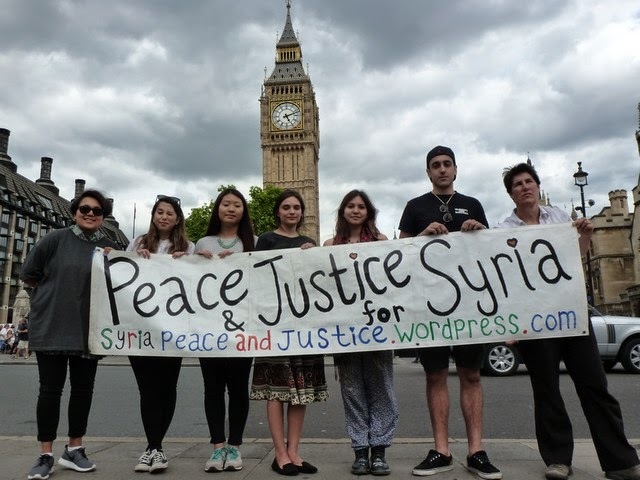 Here he shares his personal perspective on the Syrian uprising that began peacefully in 2011, the subsequent conflict and people’s hopes for a peaceful resolution. Recorded on 29th January 2014 in London.